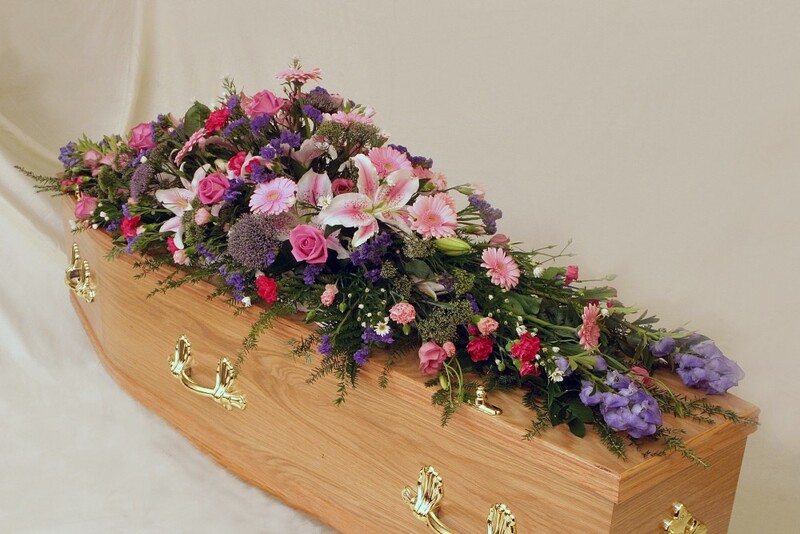 A tradition coffin spray made in pink and blue colours using mixed flowers. Suitable as a family tribute to commemorate the life of a loved one. Available in other colour choices and flowers.